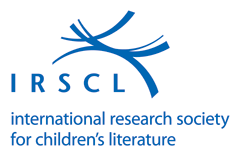 The association bears the name International Research Society for Children's Literature and has its seat in Germany. It is duly registered under paragraph 26 of the Civil Code of Germany. 2.1. The purpose of the Society is to further research into children's and young people's literature, reading and related fields. Thus the primary aim of the Society is that professional information be exchanged, theoretical questions discussed, research initiated and, if pos-sible, coordinated. 2.2. The Society strives to work in cooperation with specialists, institutions and organisations whose activities are related to the aims of the Society. 3.1. Membership of the Society is open to individuals engaged in research into children's and young people's literature. 3.2. 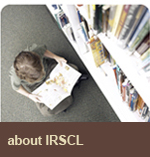 Institutional membership is open to libraries, journals, children's book collections, and other institutions whose activities are related to the aims of the Society. Institutional membership does not carry with it the right to vote in General Membership Meetings, nor does it provide access to Board membership. 3.3. Affiliated membership is open to national and regional research societies for children's literature. Affiliated membership does not carry with it the right to vote in General Mem-bership Meetings. 3.4. Membership of the Society is acquired by written application and as a result of the decision of the Executive Board. 3.5. If the Executive Board turns down the application for membership, the applicant may appeal to the General Membership Meeting. The decision of the General Membership Meeting is final. 4.1. To resign from the Society it is sufficient to notify the Executive Board in writing. 4.2. The General Membership Meeting decides about expulsion of a member from the Society for any reason other than non-payment of dues. 5.1. Every member is obliged to pay annual dues, determined by the General Membership Meeting. 5.2. Members who have retired from employment or are full-time research students, shall pay 50 percent of the individual membership dues. Normally they will be required to pay for two years at a time. 5.3 Affiliated members and institutional members shall pay double the fee for individual membership. 5.4. The Society's working accounts shall be kept and audited in the country where the treas-urer resides. 5.5. At each General Membership Meeting the Treasurer will present a report, showing the income, expenses and balance of the Society in the last two years. The Treasurer will also submit an auditor's certificate, verifying that the Treasurer's report is an accurate state-ment of the Society's accounts for the previous two years. 5.6. The fiscal year of the Society is one calendar year. 5.7. In the event of the dissolution of the Society, existing funds will be passed on to the Insti-tute for Children's Literature in Frankfurt where they will be used to sponsor a research project. The project will acknowledge the Society's contribution in any subsequent publi-cations. 7.1. The Executive Board consists of the President, the Vice-President, the Treasurer, the Sec-retary, and two additional members. The Executive Board carries out the decisions of the General Membership Meeting and takes the initiative in working towards the goals of the Society. 7.2. The outgoing President automatically becomes a member of the new Board for one term of two years unless he/she declines. In the latter case, the Board will function with six members. 7.3. The Board may co-opt one member from the country which hosts the biennial congress, if a member from that country is not already on the Board. 7.4. In the event of a member retiring from the Board, the Board may co-opt a replacement. 7.5. With the exception of the treasurer, who may serve three (3) consecutive terms, board members may not serve more than two (2) consecutive terms. 7.6. The President assumes legal and non-legal responsibility for the Society in accordance with paragraph 26 of the Civil Code of Germany. 7.7. Every member may nominate candidates for the Executive Board. Candidates must be members in good financial standing. N ominations must include a written consent by the candidate. Candidates may nominate themselves. 7.8. Nominations must be received by the Executive Board one month before the General Membership Meeting. 7.9. The General Membership Meeting elects the President and the other Members of the Executive Board by simple majority. The Board Member elected with the largest number of votes, automatically becomes Vice-President, unless he/she declines. 7.10. Decisions of the Executive Board are reached by simple majority vote. If the vote is tied, the President has the decisive vote. The Executive Board meets at least once a year. The President convenes the Executive Board in writing at least a month before the date of the meeting. He/she must convene it if two members of the Executive Board request it. The Executive Board constitutes a quorum in the presence of its President, Vice-President and of two (2) other Executive Board members. Decisions of the Executive Board can also be made by letter. 7.11. The President carries out the general business of the Society. His/ her term of office is two (2) years. He/she may be re-elected once. 8.1 A General Membership Meeting is held every second calendar year. 8.2. Special membership meetings must be convened if the interests of the Society demand it, or if 30% of the entire membership request it of the Executive Board in writing, stating the purpose and the reason for the meeting. dissolve the Society, if necessary. 8.4. The General Membership Meeting must be convened in writing by the Executive Board at least three (3) months before the date of the meeting, at the same time announcing the proposed agenda. Each member has the right to propose further items for the agenda. Pro-posals for the agenda must be received by the Executive Board one month before the General Membership Meeting. The Executive Board must then inform all members of the additional items on the agenda. 8.5. The General Membership Meeting constitutes a quorum regardless of the number of members present if the meeting has been convened in accordance with the by-laws. Each member present can, with written authorization, represent up to two absent members. Written authorization from proxy voters is to be submitted to the Chair of the General Membership Meeting prior to the commencement of voting. 8.6. The General Membership Meeting makes its decisions by a simple majority of those pre-sent and absent members in accordance with 8.5. The decisions made by the Executive Board and the General Membership Meeting must be put in writing and signed by the Chairperson of the respective meeting and the Secretary responsible for the minutes.